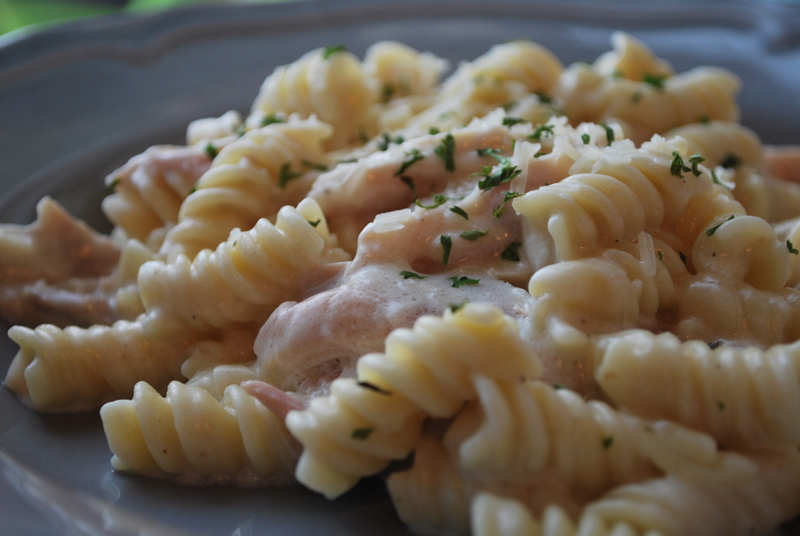 One Pan Chicken Pasta Lemon Alfredo – Live. Simple. Good. 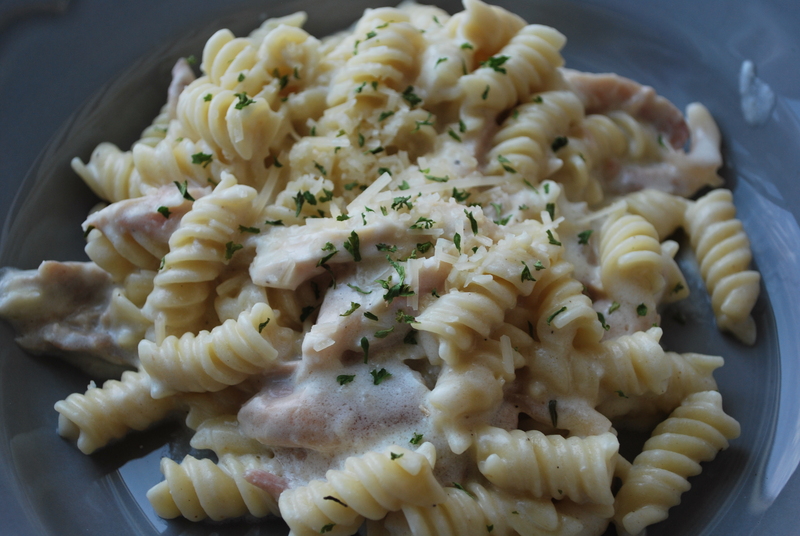 I wanted a quick meal for this evening because Caleb wouldn’t be eating with us so I whipped up a One Pan Chicken Alfredo based off my Lemon Chicken Pasta Alfredo recipe. So easy and it took only 20 minutes from start to finish! If using raw chicken, add a little oil to the pan and cook through on medium high. 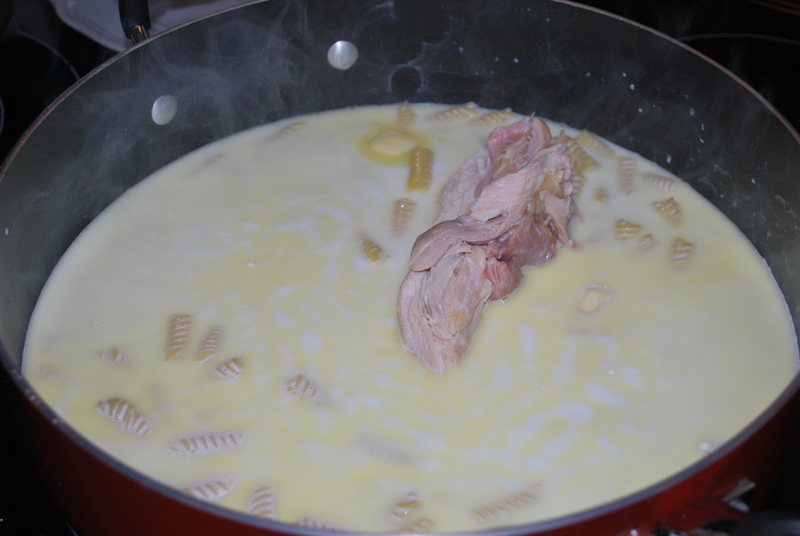 Proceed to add half & half, water, pasta, garlic clove, butter, salt and lemon peel (I had frozen rotisserie chicken that I just added straight to the pan and it thawed while the noodles cooked). Bring to a boil. Cover, reduce heat and bring pan to a low simmer. Cook for 15-20 minutes until noodles are cooked through. Once cooked add parmesan cheese, mix together until melted and serve! Sprinkle a little parmesan and parsley on top to make it look extra fancy. **If you would like this extra lemony prepare my Lemon Chicken Breast recipe and use that instead. Yum! Garlic Salt sure is a convenient thing isn’t it!? I find the garlic cloves flavor very strong. Garlic salt quenches your craving for garlic and is not strong either. Pingback: Happy Earth Day | Live. Simple. Good.